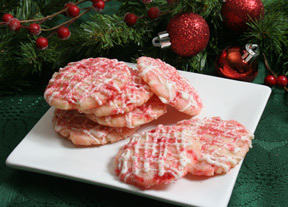 Soften the margarine for one hour or more before mixing ingredients for cookies. Drop from teaspoon onto an ungreased cookie sheet. 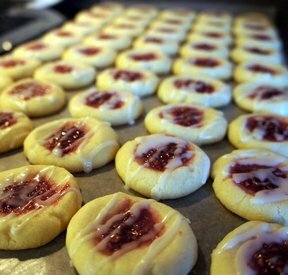 Put nuts or pastry filling (raspberry, prune, apricot, etc.). Bake at 350° for about 15-20 minutes.